Evidence of ancient liquefaction-in duced features is presented in the area of the 2003 Zemmouri earthquake (M w 6.8). This earthquake was related to an offshore unknown 50-km long fault. A 0.55-m coseismic coastal uplift was generated and extensive liquefaction has been induced in the most susceptible area which correspond to the seaside and along the hydrographic network, mainly the Sebaou and Isser valley rivers. Field investigations allowed us to identify past liquefaction traces in the Quaternary deposits. The observed features are represented by sand dikes, sills, and sand vents as well as well-preserved sand boiled volcanoes. 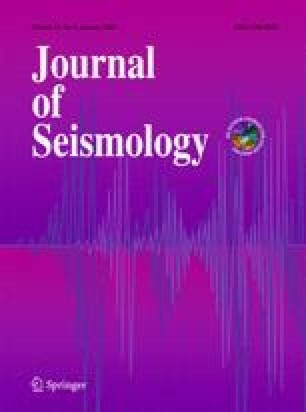 In this work, we also describe the alluvial environment, the hosted localized stratigraphic layer, the morphology and the geometry of the observed features, as well as the observed deformation (settlement) of the hosted layers that are among characteristics of the seismically induced features as described in worldwide examples. Our observations represent a step towards paleoseismological studies in the region knowing that the May 21st 2003 Zemmouri earthquake is produced by an offshore fault where a direct study of the seismogenic fault is inaccessible.